The insider’s guide to turning your run-of-the-mill coaching job into a wildly powerful coaching practice that boosts teacher skill and student scores! Without guts, coaches end up short-selling the content, undermining important instructional decisions and spending too much time focusing on things that are outside of the teacher’s control. Here you have it… again! 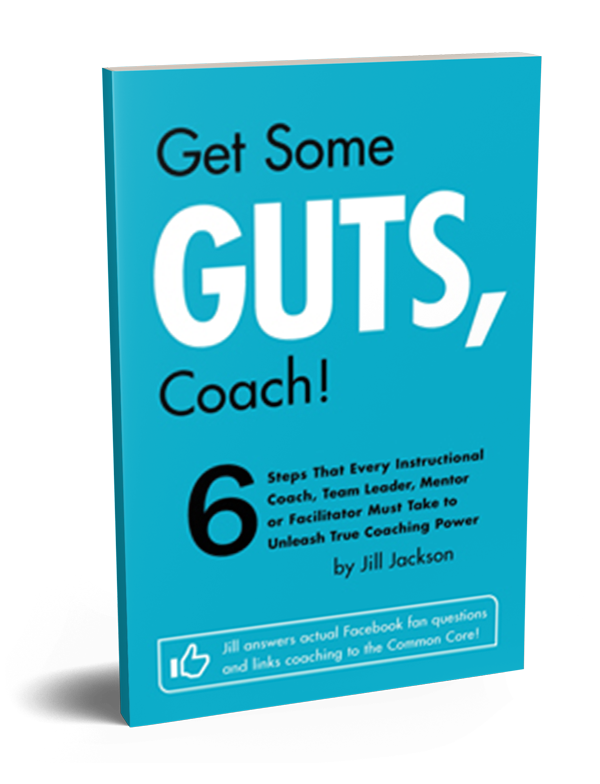 You learned in Jill’s first book, Get a Backbone, Principal!, how to get rid of fancy educational jargon and replace it with simple, habitual, straightforward conversations that lead a school from less than stellar scores to off the charts student performance. BUT this time she’s talking to you, COACHES! How do I coach without being evaluative? What do I do with a weak administrator that won’t hold teachers accountable? How do I build trust? What if all I do is put out fires and never get to the actual coaching? What does a successful coaching practice really look like? How do I debrief a teacher and have him actually implement my advice? Step 6: Get a Plan.